If you’ve seen lawyer television commercials, you may be familiar with the terms “free consultation” and “contingent fee.” A lot of attorneys advertise being able to assist clients with legal representation without an upfront retainer fee. Inevitably, clients who are going through a divorce often ask if they can simply pay their attorney fees out of the alimony or property distribution recovered in the divorce case. The short answer is no. For some, this may seem harsh or they may think the attorney is simply unwilling to work with them. This is not necessarily the case. Rather, Maryland ethics rules do not allow divorce lawyers to use these contingent fee arrangements – and for good reason. At the Law Offices of Todd K. Mohink, P.A., we are happy to review each client’s case individually in order to find the best solutions available. While contingent fees are not allowed in family law cases, there are often plenty of other ways to make the process more affordable. A contingent fee agreement is a contract between an attorney and client, which makes the total amount of the attorney’s fee contingent upon the outcome. In other words, if the lawyer succeeds in getting the desired outcome (usually the recovery of money), then the attorney receives a specific percentage of that recovery. If the lawyer is unsuccessful, there is no charge. A contingent fee makes sense in these cases because there is a source of potential funds, and the attorney is accepting a lot of risk in funding and working on a case for months or even years without any payment, all in the hopes of succeeding. Due to the high cost of pursuing compensation, many people would be unable to afford to pursue these cases without the contingent fee arrangement. Are Contingent Fees Allowed in Divorce Cases? Why Are Contingent Fees Prohibited for Family Law Cases? The legal profession has almost unanimously determined for years that allowing attorneys to base their fee on the outcome of a divorce or child custody case would create a risk of the attorney having a financial interest in the outcome. This could potentially lead unscrupulous attorneys to take actions that could be against the interests of children or it could encourage attorneys to do things to make sure clients actually divorce. On the contrary, a skilled and ethical divorce attorney should always consider reconciliation, resolution, and fairness to be part of the goal. 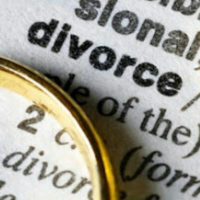 There can be no financial interest in seeing to it that clients get divorced. Despite these prohibitions, there are some exceptions. For instance, attorneys can work out alternative fee arrangements, flat fees, and even limited scope arrangements to make things more affordable for clients. In some cases, a party with limited means who is dependent on a spouse may be able to have the other spouse pay part of his or her fees. To learn more, call the Law Offices of Todd K. Mohink, P.A. in Maryland today.